Hope you had a great weekend celebrating Father’s Day! We sure do love our daddy around these parts. I recently took a decor detour upstairs and ended up in Alivya’s room. It just seemed to happen:0) I never finish anything…lol! I just get an idea or something bothers me so much that I just have to get it done. Well, at least started. The kitchen is still coming along fabulously. I can’t wait to show you guys, but I’ve seemed to have spent SO much time in there looking at the walls, that I’ve lost some of my inspiration. Does that happen to you guys? It does to me…design overload. SO I took at step back, and started focused on my daughters room AND my little boys rooms. I can’t even believe how big their all getting. I mean just yesterday I was decorating nurseries:0) But it became apparent to me that they all needed some “bigger” spaces so I spent sometime in their rooms…staring at the wall and dreaming up some practical spaces to fit there needs. Today I’m gonna give you a peak at some changes I’ve been want to make to my daughters room! Later on the week will talk about the boys. I know some of you are super excited because you’ve emailed me about my kid spaces!! Alivya’s nursery was a pretty purple and green, you guys remember, right? I loved it and she loved it but I think I was trying to be different and tried to convince myself that were weren’t pink girls….well we are…pink girls for life yo. At least for now:0) I won’t tell you that she keeps telling me her favorite color is purple…lalalala can’t hear you! I figured I’d surround her with this color until she changed her mind:0) ha! The first thing I did was gave the room a fresh paint of neutral paint, I got my SHERWIN WILLIAM paint deck out and narrowed it down to this beautiful color called Agreeable Gray. It’s not gray gray, but gray enough to be called gray:0) I love paint names…lol!! If you follow me on INSTAGRAM then you’ve probably notice I’ve been picking up random girly stuff for awhile0) One of the first things I grabbed for her a few months ago was this pretty ruffled bed skirt that I got on Overstock.com for 23.00 (I had a discount code). I remember seeing it AND the price and saying …oh, she has to have that! Plus, it’s the knock of version of good ole PBK at a much better value! I love when that happens:0) I that snagged that scalloped console table from one of my favorite stores, World Market a few months ago. I plan on getting another one so I can make one long table:0) It would be perfect for a desk as well. I believe it’s on clearance right now too! 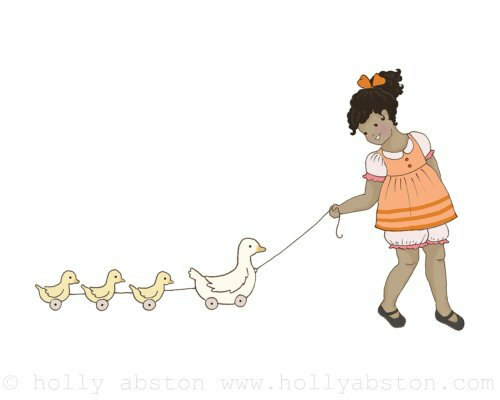 Check out these adorable little prints from Holly Abston I spotted while browsing Etsy! It’s so hard to find cute “African American” children in art you guys. I’m super sensitive about stuff like that…so when I spotted these prints I about died! My new friend Holly is so talented girls! Check out some of her creations, you’ll die too! She’s even changing all the orange to pink! SWEET! 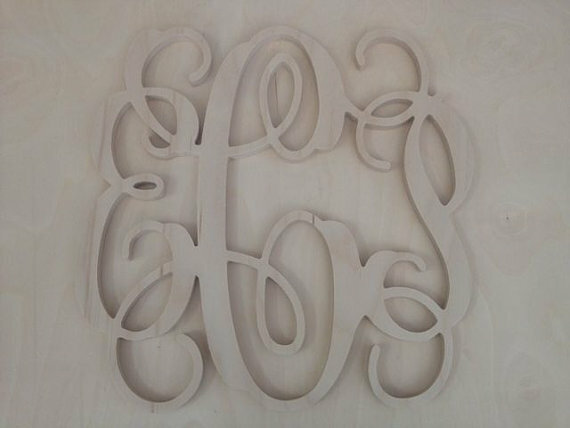 I also ordered this wooden monogram from WoodenLetters via Etsy. There’s just something about a scrolly, sweet, proper monogram. I’m such a wanna be southern bell:0) My mom and dad are from the south…so it’s kinda in my blood, right? 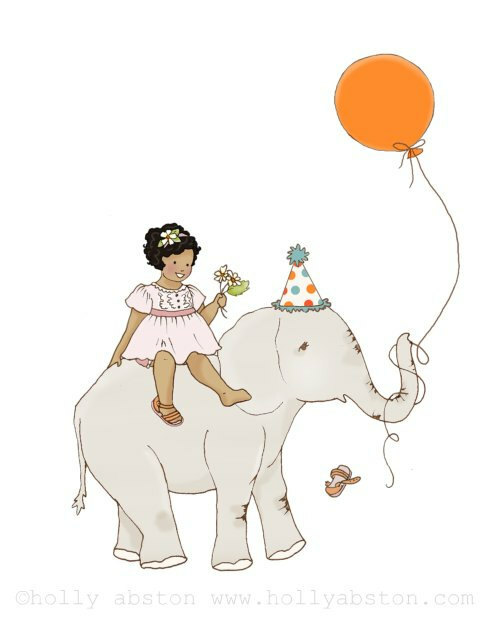 Oh, I can wait to show you some of the other things I’m going to be adding to her big girl room! Tea time table, new duvet, some funky frames, some window treatments and hopefully some more linen from my mom! haha! Don’t count out wallpaper either, that stuff is addicting! How many different stages do your kids rooms go through? I mean their in your house until the big 18! How many bedrooms changes am I looking at? 3,4,5? Let me know! How exciting. My little girl’s room is next on my project list too. I was supposed to finish painting the ceiling before her first birthday but I’m going on 2 weeks past due. Argh! So, thanks for the pretty inspiration pictures. 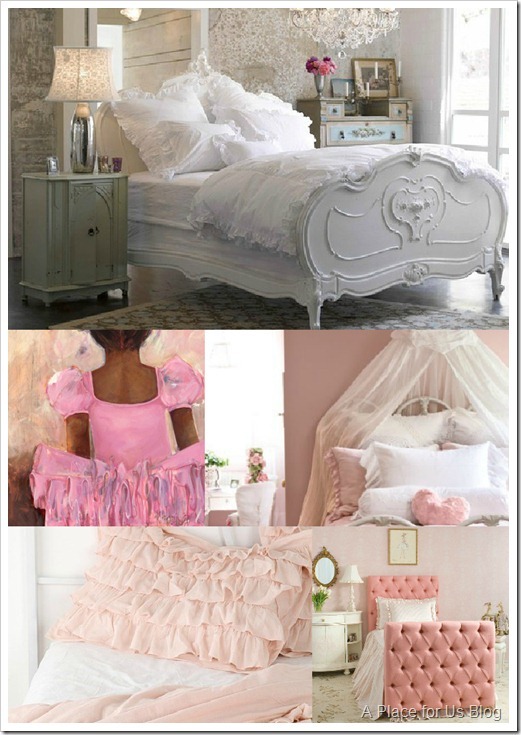 I too love anything ruffly and girly. Ava’s fave color is pink, everything is pink, pink, pink! I love those prints from Etsy. So cute! It looks like a different room! Destiny, I want all those things you’re picking out for MY room! I’m so glad you like the prints! And definitely we will need to change all that tangerine to strawberry milkshake for you! 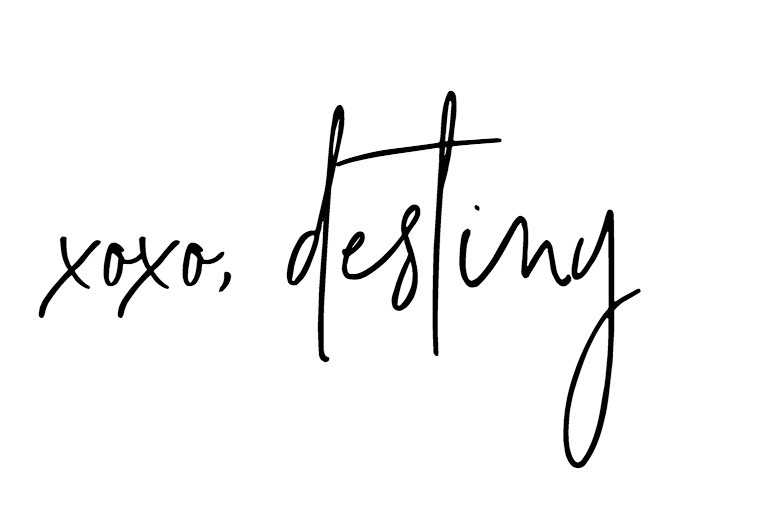 can you tell me what etsy seller you bought the wooden letter from?